Date: 22.02.2018 | Dance, Club, Disco, Reggae, RnB, Pop | Tags: Music Factory, Mastermix, DJ Beats, Beenie Man, Howard Jones, Skrillex, The Belle Stars, The Temptations, Vynilshakerz | Download Mastermix DJ Beats Vol. 60 (2017) for free. The ultimate DJ accessory continues to go from strength to strength! 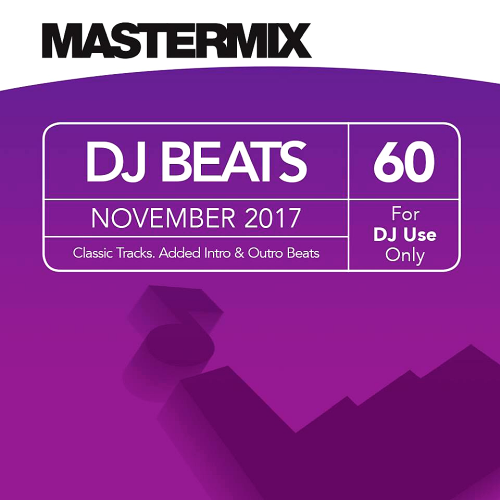 Classic Hits from the 60s to present day with added 8-bar intro & outro beats to help DJs create innovative sets for their clients. Each month the collection grows to offer DJs the ultimate tool to help create new and innovative sets for their audiences. This album features 15 massive floorfillers including tracks from Sly & the Family Stone, Ja Rule feat. Case, Ne-Yo, 2 Unlimited & Skrillex feat. Sirah. Mastermix boasts a highly-skilled team of producers who are all professional working DJs. Our music range covers new and forthcoming music Pro Disc, The Chart, innovative productions DJ Beats and retro hits Classic Cuts, Number Ones, Grandmasters.